the results are rewarding. 2mm Max. Off-, Off Extreme. Polyball Friendly. 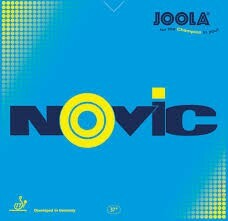 Novic Medium to Hard sponge with an extremely grippy surface. Excellent control, the results are rewarding. 2mm Max. Off-, Off Extreme. Polyball Friendly. plenty of spin. All/Off. 2mm Max. The new Geo Grip power rubber sheet with an even more intense friction surface, new pimple arrangement, and the large macropore structure of the slightly softer 42.5 sponge combine to impart huge spin and speed ideal for the new poly ball. More than enough touch is also evident. Control: All/Off. 2.0mm, Max. The Rhyzm rubber is on the market for 2 years and is already almost a classic. This new rubber now has substantially more grip which whilst imparting fizzing spin also gives great control. Ideal for the new Poly-ball. OFF- / OFF 2mm, Max. The fastest and most dynamic of the Maxxx series. The rubber is hard due to the 50 sponge, which is being used for the first time worldwide. 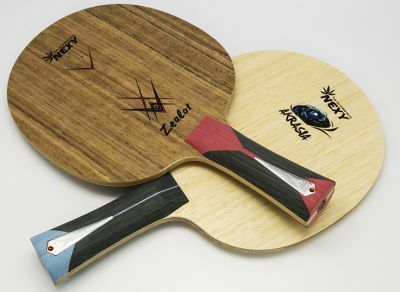 However the new micropore comb combination and the new pimple geometry provide extreme feeling and good spin. Speed: Extreme. Spin: Extra High. Control: Low/Med. 1,8mm, 2.0mm, Max. 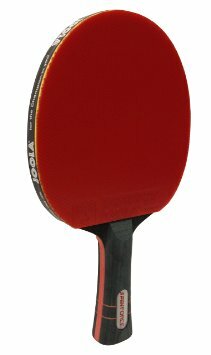 Dynamic 45 medium Geo Sponge in Combination with the new rubber surface provides the optimum mix of power, spin, and touch. Ideal for spin attackers who play from half distance. Speed: Extreme. Spin: Extra High. Control: High. 1,8mm, 2.0mm, Max. This rubber with the new 42.5 sponge and advanced surface offers full dynamics and extreme spin. It shows its full potential in topspin rallies. If you want spin his is the one for you. Speed: Fast/Extreme. Spin: Extra High. Control: High/Extra High. 2.0mm, Max. The rubber with the softest sponge of the series. 40 for aggressive allrounders who like control but want the power to win games. Speed: Fast. Spin: Extra High. Control: High/Extra High. 1,8mm, 2.0mm, Max. This advanced grippy surface combined with the soft (37.5) large pored sponge provides highest control values in all playing situations, most noticeable in blocking or return of serve. Speed: Fast. Spin: Extra High. Control: Extra High. 2.0mm, Max. A new addition to the Energy family with a soft 32.5 sponge. Especially good for players who want to be successful with a lot of control and safe topspins. Speed: Medium/Fast. Spin: Extra High. Control: Extra High. 1.8mm, 2.0mm, Max. A well priced rubber that meets high demands, and sacrifices none of the qualities required by players who look for the speed, spin, and control necessary for todays competitive demands. Speed: Medium/Fast. Spin: Extra High. Control: High. 1.6mm, 1.8mm, 2.0mm, Max. With incorporated speed glue effect, very grippy upper rubber, and medium hard large pored sponge. X-PLODE provides an unprecedented catapult effect and sensational spin. Speed: Extreme. Spin: Extra High. Control: Medium. 1.8mm, 2.0mm, Max. The classic rubber now with incorporated speed glue effect. Long durability, super sound. The softer version of X-Plode. Great touch and control but has speed to burn in an attacking situation due to incorporated speed gluing effect. For many players Badman was the best untreated long pimple rubber. It has now been re-issued with the latest Tensor technology, making it once again a very dangerous weapon, enabling extreme chop balls with dangerous wobble effect. Long pimple disturbing rubber which has an extremely high number of thin pimples. Anti-spin with very soft sponge. Slightly hard to control but spin reversal when blocking is more dangerous. Good attack and wobble. A novel very thin sponge provides good control. Hard topspins can be returned wiithout any problem. Easier to control than the Shark. Number of pimples is reduced and are thicker. Blocks and attacking shots are easier to play. Good for close to the table tactics. Long pimples and extremely hard sponge give really effective chop and awkward returns. Produced with the glueing ban in mind. The performance of freshly glued rubber is permanently incorporated. Very grippy rubber with special sponge, giving sensational chop. Classic anti-spin rubber, absorbs your opponent’s spin totally. Highly tensioned. Huge spin potential. Speed:96 Spin:100 Control:84 ALL-/OFF+ 1.8/2.0/Max. 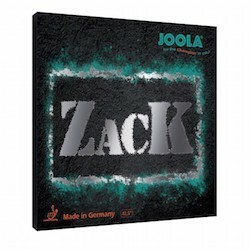 Zack A german made classic rubber for the purist all round player. It is a high quality, all round rubber with good control, good placement accuracy and spin. Extremely durable. All/Off-. 1.9mm. Max.